John Carmack: PS3/Xbox 360 are "Far From Tapped Out"
Doom-creator John Carmack believes that there's "so much you can still do" on the PS3 and Xbox 360. The PlayStation 4 and Xbox One both released to the public last month, prompting a rush of gamers who eagerly emptied their wallets to bring home their own personal slice of the new console generation. As happy as many are to see console hardware against moving forward, however, there are some within the industry itself that might have preferred a little more patience. 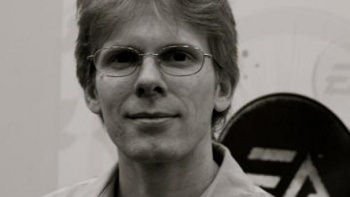 Doom-creator John Carmack, for instance, believes that Xbox 360 and PS3 weren't quite past their prime. "There's so much you can still do on the previous console generation," he said. "The 360 and PS3 are far from tapped out in terms of what a developer could do with them, but the whole world's gonna move over towards next-gen and high-end PCs and all these other things." According to Carmack, who recently departed his studio id Software, the current push forward represents less of necessary change and more of "tidal wave of technology" that, in some ways, can keep developers from doing their best work. "Just as you fully understand a previous generation, you have to put it away to kind of surf forward on the tidal wave of technology that's always moving," he said. "That's something that we've struggled with in every generation." It's not hard to understand the root of his frustrations. The past few years have seen developers release some of the most notable games of the PS3/Xbox 360 generation, something they were able to do in no small part because of the comfort many had developed with the hardware over the past several years. That being the case, Carmack acknowledges that it's all just part of how things work in the industry. "I at least know enough to recognize that some of my internal feelings or fondness for technology that I understand or have done various things with usually has to be put aside," he said. "Data has shown over the decades that that's usually not as important as you think it is." Regardless of what the "data" says, it's not hard to sympathize some with developers who, by-and-large, now have now new systems to learn and make games for. Some have already noted the emerging challenges of the new generation and only time can tell how long it takes before developers regain that feeling of knowing the hardware like the back of their hand.